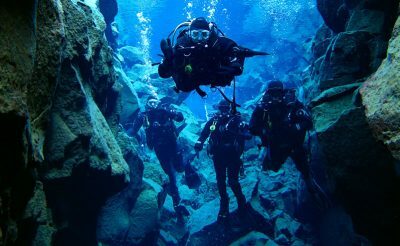 Take two points in Iceland – Reykjavik in the southwest and Akureyri in the north. Start at either one and join the dots in-between. The result: a stunning 10-night self-drive through a succession of scenic wonders. 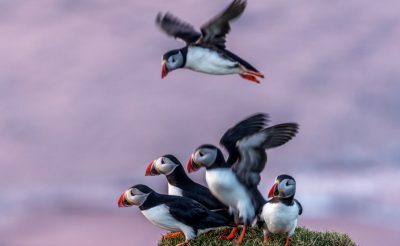 Thingvellir and Vatnajokull national parks are the stars of this free-spirited odyssey, but you’ll also visit natural beauties like the East Fjords and Lake Myvatn. Vatnajokull covers no less than 13% of Iceland. Much of it is frozen wilderness. 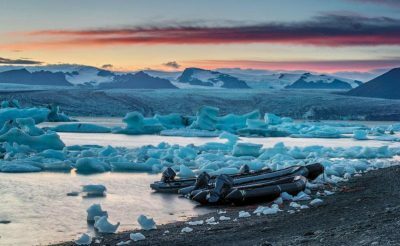 Scaling the Vatnajokull icecap by superjeep or cruising through the icebergs at Jokulsarlon glacial lagoon are two of the optional activities available on this trip. 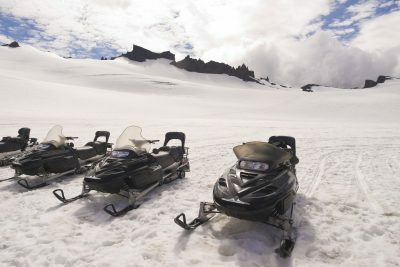 You can also go glacier walking or snowmobiling. 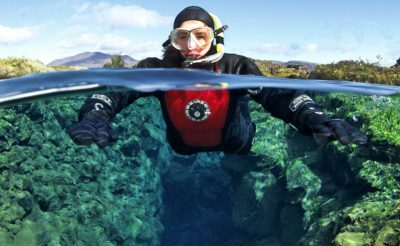 Thingvellir National Park, meanwhile, is not only a superb hiking spot, but you can also snorkel or dive in the flooded Silfra fissure at the margin between the Eurasian and North American plates. They come thick and fast on this trip. You’ll lose count of the waterfalls (Gullfoss, Seljalandsfoss, Skogafoss, Svartifoss, Hengifoss and Dettifoss are just the famous ones). 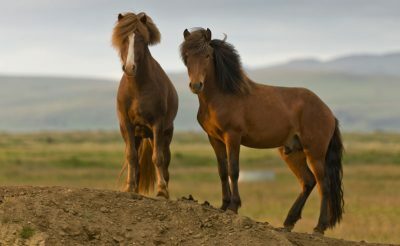 There’s wildlife too: seabirds on the Vopnafjordur coast; reindeer in the East Fjords and whales in the north. You’ll see volcanic wonders at Lake Myvatn: steaming lava flows, seething mud pits and explosion craters. And you’ll even see trees (a rarity in Iceland) when you delve into the birch forest of Hallormsstadur. Geysers, fjords, canyons, glaciers, volcanoes, black-sand beaches ... Iceland is, in fact, just one big natural wonder. This holiday includes a domestic flight between Reykjavik and Akureyri. 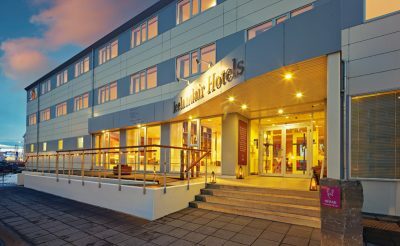 It’s up to you whether you want to start your self-drive in Reykjavik and fly back to the capital from Akureyri, or fly to Akureyri first and do the itinerary in reverse. Alternatively, you can extend your trip and drive between the two. Fly to Keflavik, transfer to the city and overnight in Reykjavik. If you have time why not visit the Blue lagoon enroute (prebooking essential). 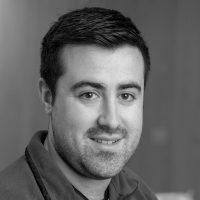 Transfer on your own (5-10 mins taxi ride, payable locally) to Reykjavik City Airport for midday flight to Akureyri, then collect rental vehicle at the airport. Explore this quaint northern town located almost at the head of Eyjafjordur then drive to Myvatn, making a detour at picturesque Godafoss for a photo stop. 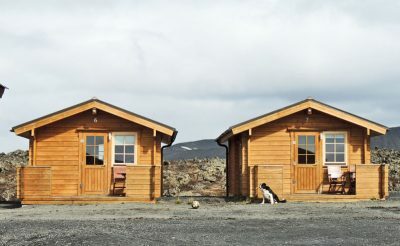 Spend two nights at Lake Myvatn. Spend the day exploring the area and its volcanic wonders. 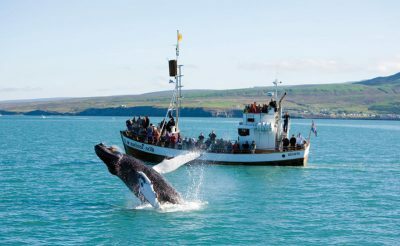 Visit the relaxing Nature Baths (the north's answer to the Blue Lagoon), grab a snack at milking time at the Cowshed Cafe, take a hike at Dimmuborgir or venture up to the pretty village at Husavik and experience a thrilling whale watching trip on an old fishing boat (prebookable - contact us for details). Visit the Jokulsa Canyon National Park and explore its gorges and waterfalls, including a possible visit to the immense waterfall Dettifoss. Continue to Vopnafjordur for an overnight stay. Drive the 4x4 track to view the monumental basalt columns and sea birds on Langanes, a lonely windswept peninsula or visit the remote village of Raufarhofn. 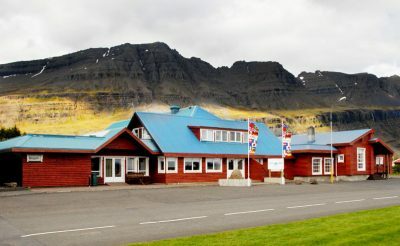 Return through Vopnafjordur and travel to Egilsstadir for an overnight stay. Spend the day enjoying the sweeping fjords of the east coast until you reach Breiddalsvik, where you will spend the night in the area. In the morning, set off to the charming village of Djupivogur. 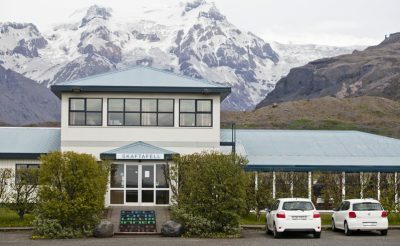 After this begin your journey south, where one eye-catching view follows another on the drive through the fjords to Hofn, a fishing port at the foot of Europe’s largest icecap, Vatnajokull. Travel around the base of the icecap, in sight of its many breathtaking glaciers. One has receded, forming a huge lagoon, where icebergs lie adrift - this is Jokulsarlon. Take a boat trip (at additional cost) and head over to the beach to watch as they drift out to sea. Overnight in the area. 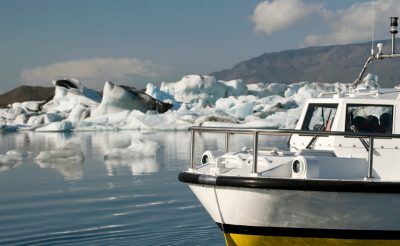 You will be spoilt for choice today as there is much to see and do in the area: walking in the stunning Skaftafell National Park; discovering the Jokulsarlon glacial lagoon with its immense icebergs (boat trips are prebookable - contact us for further details). Perhaps take an optional snowmobile trip on Europe’s largest glacier, Vatnajokull. Continue to Kirkjubaeklaustur for an overnight stay. Journey along the south coast, visit the fascinating Skogar Folk Museum and the thundering falls, Skogafoss. Don’t miss the walk behind Seljalandsfoss and look out through its curtain of cascading water. Spend two nights in Hveragerdi. Explore the natural wonders on the famed Golden Circle route: the tectonic rift in the earth's crust at Thingvellir, the thundering falls of Gullfoss and the bubbling Geysir geothermal area. Please note this itinerary may be booked in reverse ie. starting with the south coast and returning via a flight from Akureyri to Reykjavik. 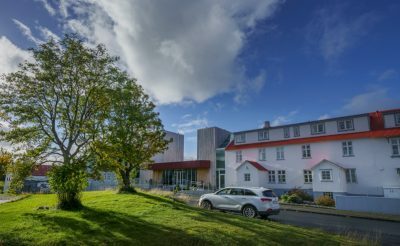 You may also prefer to extend your trip slightly and drive to or from Akureyri - call us to discuss your options and for a tailor made quote. 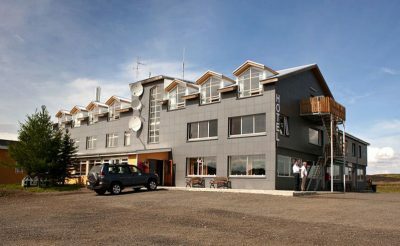 Sel Hotel Myvatn is the ideal base for experiencing the wonders of Lake Myvatn and its surroundings, with 58 smartly-furnished rooms situated on the southern shores of the lake. 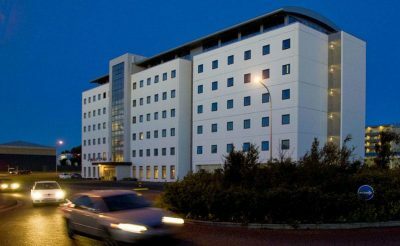 Located in the heart of East Iceland's thriving capital of Egilsstadir, Icelandair Hotel Herad offers 60 well-appointed rooms that are both conveniently located and picturesque. 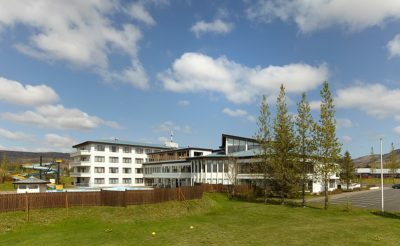 Found 45km east of Reykjavik in the 'greenhouse village' of Hveragerdi, this hotel offers 85 spacious, en suite rooms. 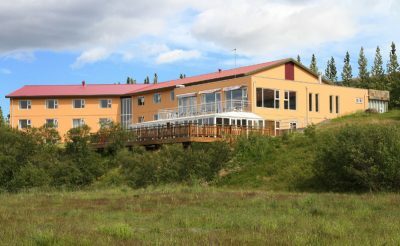 Located on the shores of Lake Logurinn, this newly renovated hotel offers 50 unique and beautifully appointed rooms. 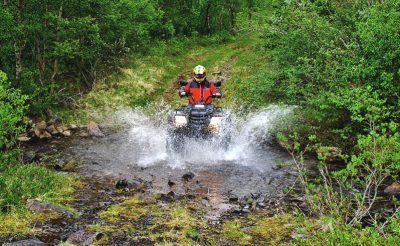 Ride through the beautiful Hallormsstadur forest on an exhilarating 4x4 ATV adventure! Your quad bike will easily tackle the rugged, rocky tracks and splash through rivers as you weave through the forest to spectacular viewpoints overlooking Lake Lagarfljot and the mountains of the interior. Learn about marine ecosystems and cetaceans, their biology, habitat and natural history. 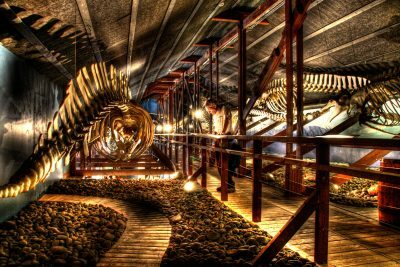 Husavik, in North East Iceland, is recognised as 'Europe’s Whale Watching Capital' and is also home to the fascinating Whale Museum. 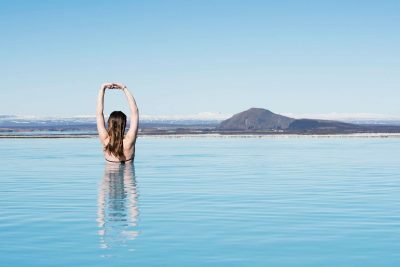 Soak in milky-blue geothermal waters whilst taking in the magical views of the area around Lake Myvatn in north east Iceland. Travel across small streams, marshes, and sands in a tractor-drawn hay cart to reach the Cape Ingolfshofdi, an isolated headland on the coast halfway between Skaftafell in Vatnajokull National Park and Jokulsarlon ice lagoon. 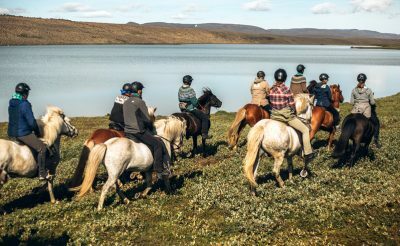 Ride up and over steep mountains, along lush green valleys and across the sandy beaches surrounding Neskaupstadur on an Icelandic Horse. This year round group tour takes you full circle around Iceland including classic sights and as well as hidden gems.